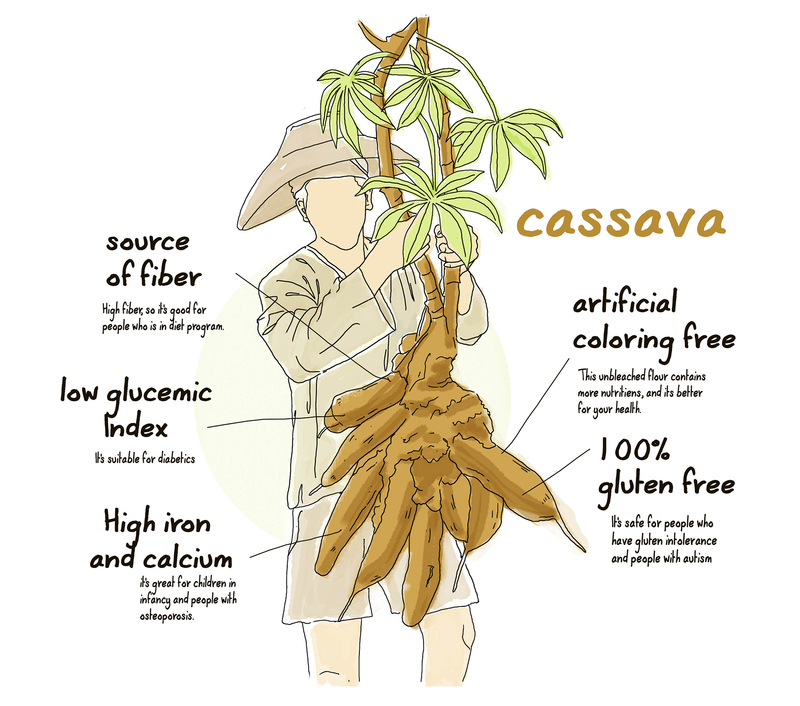 is cassava flour manufacturer and pioneer of gluten-free food in Indonesia, we produce cassava flour through bio technology process which make our cassava flour has similarities to wheat flour, so it can be used as alternative to substitute wheat flour. Besides cassava flour, we also produce derivative products such as veggie noodle, Premix flour, coating mix and cookies. The name of our brand is Ladang Lima, Ladang means Fields and Lima means Five, Field is where our main ingredients Cassava naturally grown and Five is numbers of our benefits. Our vision is to become the best global manufacturer of healthy food.